Online retailer Wirefly is at it again. This time, they have just listed the T-Mobile Sidekick 4G and the T-Mobile G2x for pre-order six days prior to their official release. Priced at $80 for the former and $150 for the latter, the two offers are a bargain, which both new and existing T-Mobile subscribers can take advantage of. 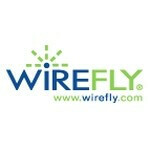 If you have your mind set on the Sidekick 4G or the G2x, Wirefly's deal seems to be the best one online right now. Since both smartphones are scheduled to launch on April 20, we do not expect them to ship much later after that should you decide to pre-order them online. However, if you have the patience, we would recommend you to hold on until Amazon steps in and lists the handsets as well.